Support tomorrow's birders today and help us build the future of birding! Growing the leaders and active supporters of tomorrow's birding and conservation communities through memorable field trip experiences! Iowa Young Birders is a 501(c)(3) non-profit organization. Our programs are funded by contributions from individuals and organization/business sponsors. Your gifts have made is possible for us to offer more than 40 young birder field trips across Iowa over the past four years. 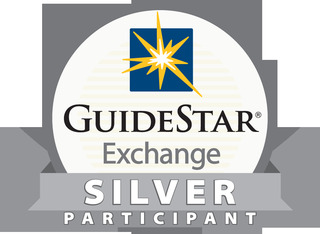 Iowa Young Birders has met the reporting requirements to be listed as Guidestar Exchange Silver Participant--more information can be found here. Our IRS tax-exempt ID # is 45-2925567. All gifts are tax-deductible to the full extent allowed by law. You can give securely online below or by sending a check to Iowa Young Birders, PO Box 163, Ames, IA 50010. Please start by entering your gift amount and special instructions below. If you are already logged in to our site, you don't need to re-enter your contact information. The form below is for a one-time contribution. If you would like to make an automatic monthly contribution, please click here. We track age for our young birder participants. Adults age 19 or older do NOT need to enter this information. Please enter cell phone number where parent/guardian or primary contact person can be reached DURING events and field trips. If you would like to make your gift in honor or in memory of a person or persons, please add a note about your choice and the full name(s). If you would like us to notify anyone (without the gift amount) please also enter the full name and address. Many thanks for our generous friends and supporters who have made it possible for us to offer high-quality field trips experiences to hundreds of young birders over the past four years. A current list of our member families, contributors, sponsors and volunteers is here.